With the demand for cloud storage growing ever-larger, companies that rely on vast data networks are starting to try out some unusual approaches to meet demand. Not only is the need for more data centers going to increase in coming years, but these servers also need to be located as close to their users as possible in order to allow for lightning-fast access. 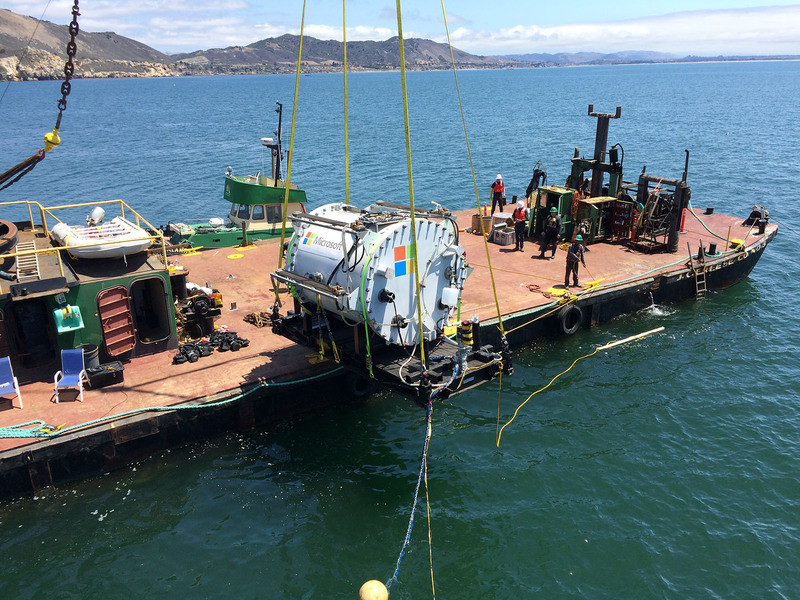 That’s why Microsoft is trying something that might sound a little crazy at first blush: the company is experimenting with data centers installed on the ocean floor. There are a few obvious advantages to this approach — for one, it reduces the need for extensive temperature control, which is usually necessary to keep normal servers running properly. But the main reason Microsoft favors this design is due to simple geography. Company engineers say that nearly half the world’s population lives within 120 miles of the sea. Installing these data centers near the shore can reduce the distance customers’ data has to travel, resulting in speedier and cheaper cloud storage. In the future, Microsoft hopes to refine the design in order to make their data centers more sustainable, relying on kinetic energy generated by the currents of the ocean itself. Enter Project Natick, Microsoft’s first test of this concept. In 2015, the company deposited a 38,000-pound steel container in the Pacific Ocean off of Washington State, and left it there for two months. Inside was a data center with the computing power of 300 desktop PCs. Every aspect of the vessel was monitored, from the humidity inside to the machine’s operational capacity. When the capsule was brought back ashore, the electronics inside were still cool and dry despite their weeks in the ocean. The project is a promising proof-of-concept, but Microsoft cautions that we’re nowhere near seeing these data centers installed across our coasts yet. There are still more tests to be done before the concept can be implemented, including an upcoming test that will involve submerging a larger version of Project Natick and leaving it underwater for a full year. 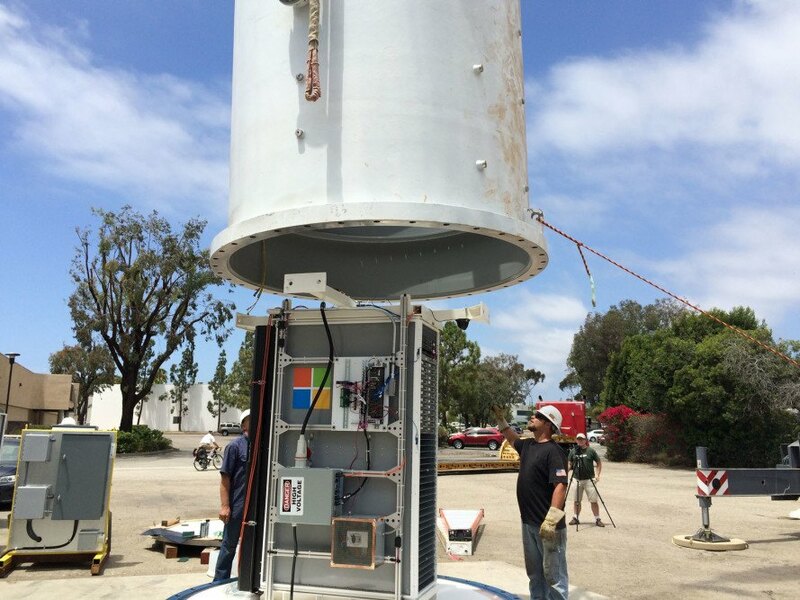 If all goes well, sustainable ocean-powered cloud storage may be the way of the future. 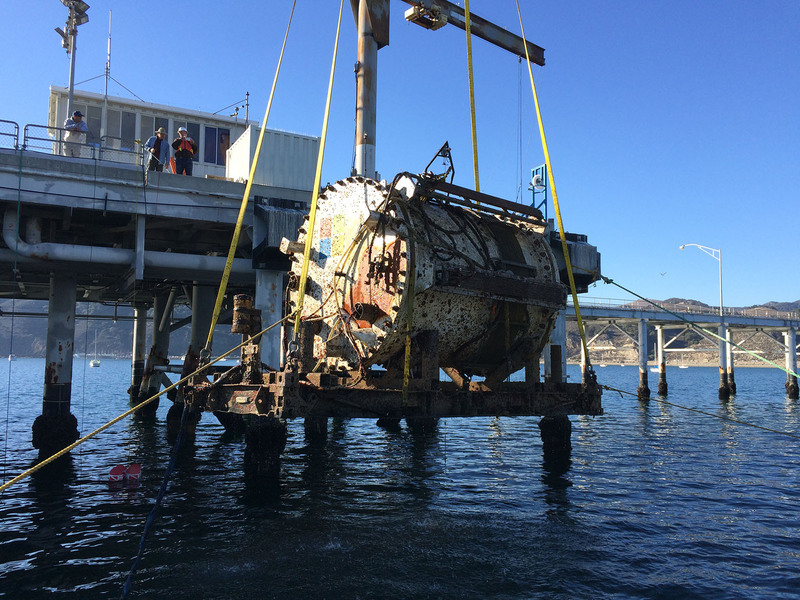 A ship delivers Project Natick to be installed on the ocean floor. The data center has the computing power of 300 personal PCs. After two months submerged in the ocean, the electronics inside remained safe and dry.